Spears Tree Service provides pruning which offers many benefits not only to the tree but to your home and surrounding property. We offer comprehensive tree trimming and pruning to reduce the risk of property damage and to promote the development of healthy trees. With our certified arborists and highly skilled team members, your trees are in good hands. Trees can be pruned to reduce their size/weight, the limbs can be elevated for clearance or you may wish to just prune the dead, diseased and broken branches from your trees. Our tree pruning services include the removal of diseased, broken, or dead branches on both mature and young trees for protection of property, landscape and the trees themselves. The reduction or removal of live branches is often necessary to improve tree structure. Pruning young trees, known as developmental tree pruning, is performed for structural enhancement and to prevent/reduce future problems, while mitigating costly problems as your landscape matures. Pruning for appearance and restoration is done to maximize the look and feel of your property and to assist with landscape maintenance. 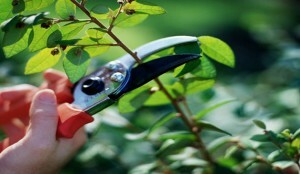 Pruning can help protect against storm damage and the danger of falling limbs. This is particularly a concern for trees along pedestrian paths, driveways, and surrounding buildings. To beautify your experience in your property pruning creates visual access to lakes, valleys or other picturesque views, while maintaining privacy where desired.